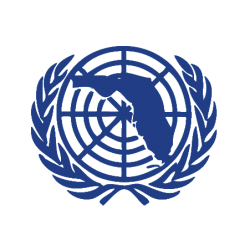 To ensure the safety of our schools, our delegates and their advisers, and our staff, we have made the unfortunate decision to cancel FHSMUN Tampa Bay 4 this weekend. This was a tough decision to make. But, given the unpredictability of the path of Hurricane Matthew, as well as the fact that all of Central Florida is under some kind of hurricane or tropical storm warning, we thought it best to make this decision. Schools and their advisers will be contacted later today with respect to registration for other conferences as well as any refunds that need to be issued. I hope to see you all very soon. Thank you for your continued support of FHSMUN, and again, we apologize for any inconvenience this causes. Next PostNext FHSMUN Radio is here!